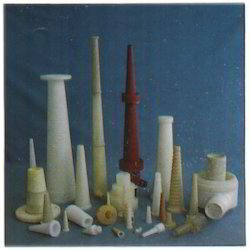 We are a leading Manufacturer of centri cleaner nylon nozzles, flat fan spray nozzles, hollow cone spray nozzles, plastic metal nozzles, centricleaner nozzle and cones and nozzle from Nagpur, India. 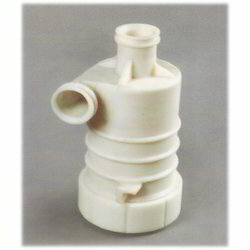 We manufacture a wide range of Centri Cleaner Nylon Nozzles. 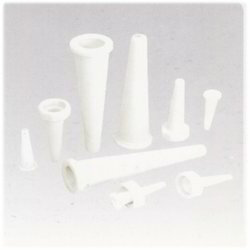 These Centri Cleaner Nylon Nozzles are dimensionally accurate and durable. Centri Cleaner Nylon Nozzles can be developed and supplied exactly as per customer specifications. Our range of Flat Fan Spray Nozzle is durable, cost effective and can be fitted easily. These are mainly used in high pressure cleaning such as wire lubricating showers and conveyor cleaning. 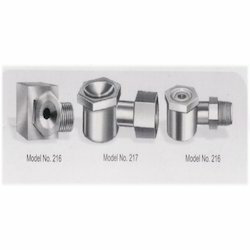 Our organization is actively engaged in providing a vast range of Hollow Cone Spray Nozzles, which our astute professionals manufacture using quality material, sourced from trustworthy vendors. 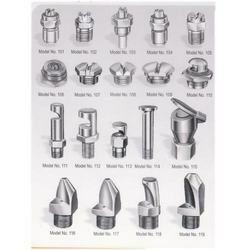 Nozzles We provide our diverse range of Nozzles in various sizes and shapes, Our gamut is fabricated using brass and steel that are superior in quality . 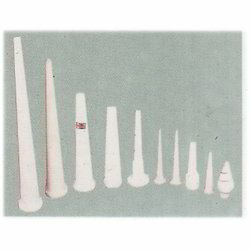 These nozzles exhibits features like high performance, corrosion resistance, durability etc. We offer high quality Centricleaner Nozzle & Cones ensuring better performance under high Corrosion resistance, we have developed Plascon Alloys. 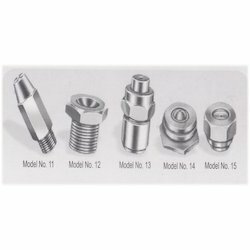 We are rated amongst the leading manufacturers of a wide assortment of Nozzles. The range is manufactured using different metals to meet the requirements of our clients. Clients can avail a comprehensive range of Needle Jet Spray Nozzles at leading market price. Our expert technicians manufacture these using quality molybdenum stainless steel. Looking for High Pressure Nozzles ?